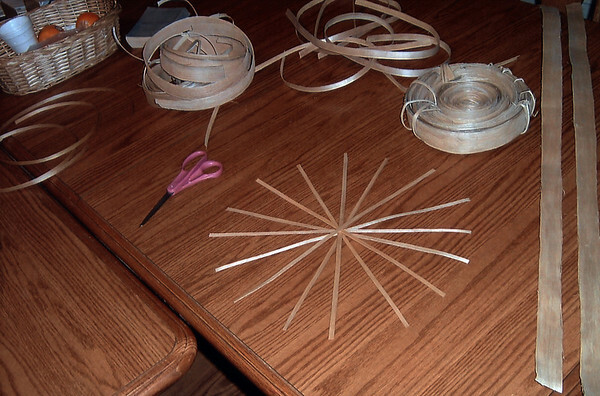 The bottom of a round basket is started by laying down four strips in the four directions to make a spider-like star with eight rays. Strips are bound with thinner weaving strips, then four more strips are added and bound together or a total 16 rays. Weaving can now begin.